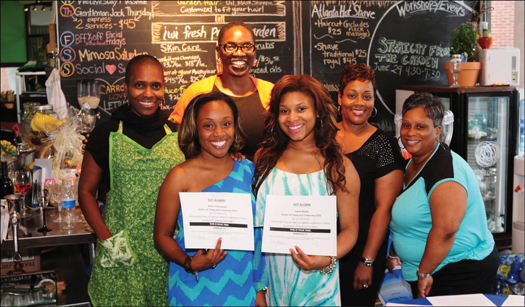 L-R: Yolanda Owens, Owner of IWI Fresh Garden Day Spa, Carla Morrison, Founder & Executive Director Sisters of Today and Tomorrow (SOT), Briana Fleetwood and Taylor Daniel, both Alumni SOT Members and organizers of the event, SOT Mothers’ Deirdre Fleetwood and Ravi Daniel. 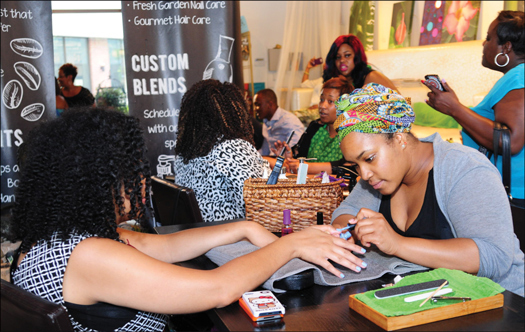 Sisters of Today and Tomorrow (SOT), hosted its “Mommy, Mentor & Me” Spa Day Fundraiser, at IWI Fresh Garden Day Spa. Carla Morrison is the group’s founder and executive director. Sisters of Today and Tomorrow” is a 501C(3) nonprofit organization, that helps to build confidence, character and leadership. Founded by Ms. Morrison in 2008, the organization is reputable across America for its sincere need to assist women and children. 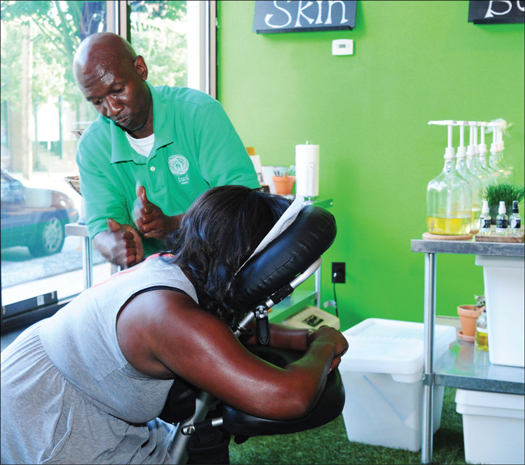 The organization has produced over 25 community programs, focusing on higher education, entrepreneurship, self-esteem, health and fitness and personal development, impacting over 5,000 youth and adults. Briana Fleetwood and Taylor Daniel are two of SOT’s 2014 high school graduates and organized the outing at the spa after initiating contact with Ms. Morrison to be her “go to girls” for the Summer, before leaving for college at Louisiana State University and Howard University, respectively. “I’ve been waiting and working a long time to get to this place with Sisters of Today and Tomorrow and tonight it appears as though all my hopes and dreams for the organization have started to blossom before my very eyes,” said Ms. Morrison. IWI Fresh’s Anthony performing massage services to a SOT Supporter.